The rugby world is all aquiver about the latest article (link below) from New Zealand on the "World League" as it has been dubbed in the press. Interesting that social media comments (posted below) from World Rugby supremo, Brett Gosper, refer to it as the Nations Championship. Whatever label is attached to it, it seems to be a work in progress. When the concept first emerged in the press it was presented as a top 12 competition and the assumption was that it would include the Top 12 ranked teams which at the present are: NZ, Ireland, Wales, England, SA, OZ, Scotland, France, Fiji, Argentina, Japan, Georgia... with USA lingering at #13. Throw in a relegation/promotion process for the rest of the countries and it seemed like a good starting point for discussion. However the latest iteration to hit the press has USA and Japan hard-wired in as would the 6 Nations and Rugby Championship countries. Also no relegation/promotion mechanism has been proposed. Those two points are game changers, it went from a "worth discussing" to "going the wrong way, as Kieran Read said, protect the game's integrity". Giving Fiji the heave-ho just because they're not wealthy and bringing in USA because it's the land of plenty doesn't sit well with rugby folk, it may excite businessmen calculating net profits but is that what rugby has become? Besides USA are #13, they have MLR going their way, hang the carrot there and they'll figure it out. The excitement of a Tier 2 promotion process would engage teams ranked 13-24 and their fans. There are other concerns as expressed in the articles below including player load, long haul travel, club v country demands and Regulation 9 release periods. We have carried out fan research via independent company in major broadcast markets. Fans were resoundingly positive about concept. What about from a Canadian perspective? The main concern seems to be no matches vs Tier 1 countries if this goes through, not until Canada can get into the top 12 at least. Looking at the last World Cup cycle Canada haven't been getting a whole lot of invites from Tier 1 countries, in 2016 they played Ireland, they also had matches with Italy and Japan. In 2017 there weren't any Tier 1 matches as the RWC qualification began and Canada played USA three times, Canada played 11 tests that year and came away with 2 wins, 1 draw and 8 losses. In 2018 Scotland came to visit, Canada again had 11 test matches, winning 5 and losing 6, the wins coming against Brazil, Chile, Germany, Kenya and Hong Kong. In 2019 Canada have lost to Brazil and Uruguay and defeated Chile. That's the point, start building a winning record against Tier 2 and Tier 3 countries before demanding Tier 1 matches every year. I would be more concerned with building the infrastructure to produce a top 12 team rather than be concerned whether Canada gets to play a 6 Nations team every year. 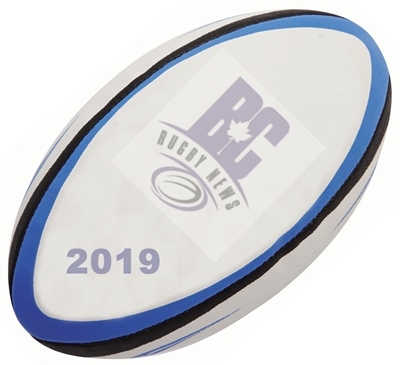 Fifteen years ago we were well ahead of our neighbours to the south in rugby infrastructure and development, we had the beginnings of a professional league with the Rugby Canada Super League with teams in 10 cities. We had a centralized U23 academy, the Pacific Pride, that could defeat national teams like Germany and Chile. Now our biggest boast is we have one team in the MLR. Fifteen years ago Canada were ranked #13 and would have been looking eagerly at a top 12 competition, let's focus on what needs to be done to get back there.